13th Floor With Diana is very possibly one of the greatest juxtapositions of music and theatre ever devised and recorded. Be it Sakurai's seductive movements in Cabaret, the empyreal white lighting in Seraphim, the frankly terrifyingly intense Doll or even the interludes (featuring ballerina Becky Janik and clown Gaetano Toto), Buck-Tick's gothic stage play (loosely based on Stravinsky's 'Petrushka') is a truly staggering visual spectacle. Additionally, '13th Floor...' is musically perfect - not just a textbook performance, but brimming with emotion and in some instances arguably better than the studio version. 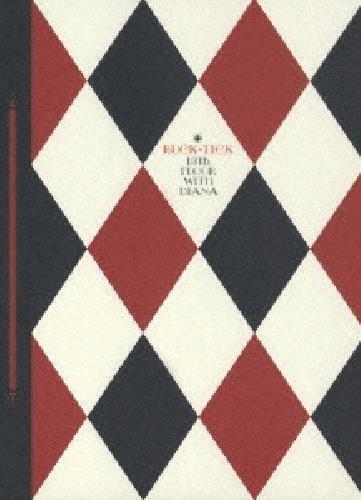 Makes one truly grateful that visual-kei and Buck-Tick are a thing. Combining the very concept of sound and theater, can you tell me what the result of that is? Well, never mind, I've got just the answer for this question: a spectacle. However, what does one get when you merge the two aforementioned things with a visual kei rock quintet who's kept a flair for steadiness ever since their formation? Come on, the answer is staring a person right in the mug: 13th Floor With Diana, courtesy of Fujioka, Gunma-based outfit Buck-Tick. Featuring live renditions of the songs taken from the band's fourteenth full-length offering titled 13kai wa Gekkou, here lies a show that was, is, and will be unforgettable in several years to come. From the charming theatrics to tasteful camera work to even clowns, 13th Floor... definitely has so much going for it, and B-T's overall performance is without hesitation amorous; the members are able to showcase energy and simultaneously subtleties that may or may not take someone by surprise. Buck-Tick's 2005 studio album as a whole translated extremely well to a live setting, even including instances where said moments outshine what was already a stellar LP. I'm glad to have immersed myself in this ensemble's output from what I checked out thus far.